It may seem early to be considering what Christmas gifts you need to buy, but the big day will be here sooner rather than later. Never fear though as Kodak Pixpro’s range of digital cameras, which are all available now and vary in price, offers something for every pocket and family member/friend – adult, child, man, woman. See the magic of Christmas from every angle this year with Kodak Pixpro! Whether you’re looking to capture all of the fun this festive season or you’re just after the ideal gift for technology lovers and photographers, of every age, Kodak Pixpro has the answer with its range of Astro Zoom and Friendly Zoom digital cameras. Whether it is the wallet-friendly FZ201 Friendly Zoom camera, the boundless power of the compact AZ652 or taking close up shots to the next level using the AZ422, Kodak Pixpro’s cameras shoot an amazing amount of detail, clarity and precision, so no matter what you are up to this Christmas and New Year, Kodak Pixpro has a camera to suit every budget. A Kodak Pixpro camera means you’ve got Christmas gifting and capturing every happy memory covered. 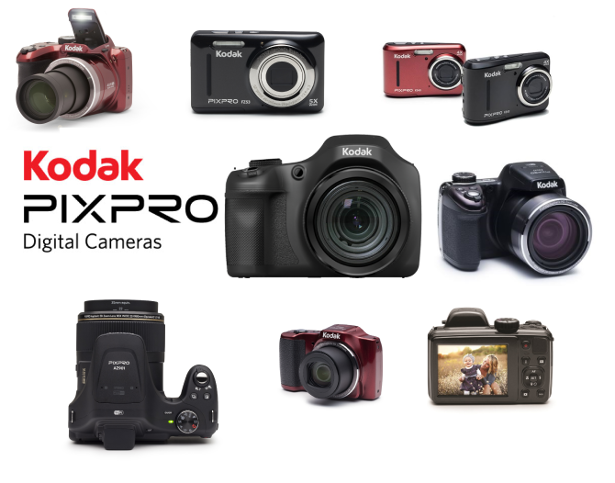 Kodak Pixpro offers a camera range for every pocket and need, with a variety of lenses and zoom functions. Visit http://www.pixpro.world/ to see what else Kodak Pixpro has in its camera range. Alternatively visit Currys and search “Kodak Pixpro” to find the range currently available via that stockist.